You must make reservations at least 5 minutes in advance of the time at The French Room. Join us on Tuesday, May 7th at 6pm as Christophe Bristiel presents the wines of Château la Nerthe from Châteauneuf-du-Pape in a dinner created by Executive Chef Anthony Dispensa. Inspired by its original design and the grand tradition of timeless European architecture — The French Room has been thoughtfully restored. An evening at The French Room has historically been a coveted experience. 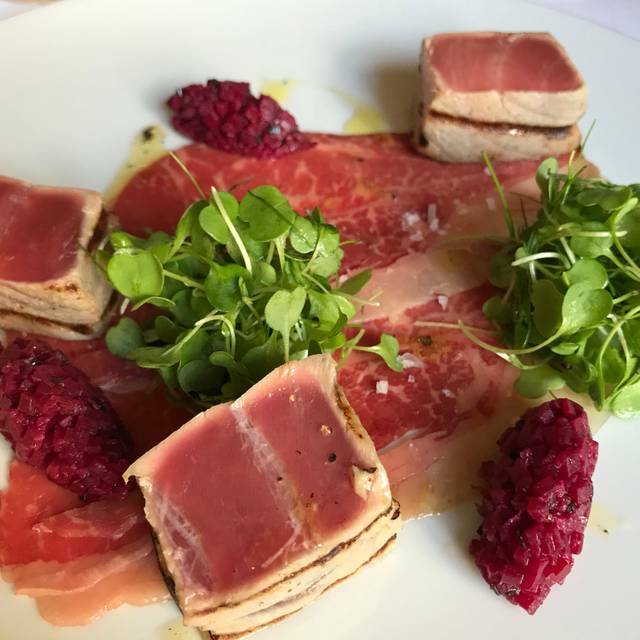 The recipient of numerous awards and critical acclaim received throughout its storied past, the restaurant has hosted countless special dinners and milestone moments. The French Room’s menu is an inventive take on French cooking, including thoughtful table-side flourishes and a comprehensive wine program. The experience is warm, classic and memorable. Engaging and knowledgeable service is punctuated by moments of unexpected delight creating a new perspective on fine dining with style and grace. The tasting menu was outstanding even though at first I had reservations about it including two fish dishes. However, both the salmon and halibut were a treat to the taste. We ordered premium pairing and felt the amount of each serving was a bit short but the quality and selection was perfect. 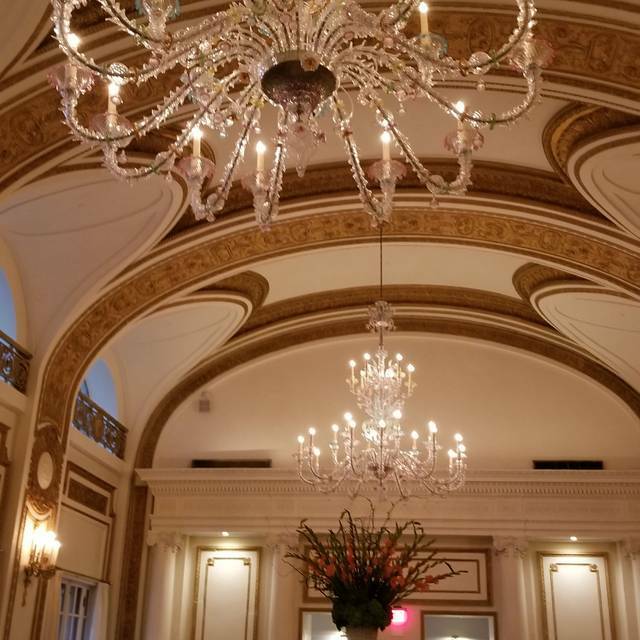 The room is beautiful and the Murano chandeliers make the room feel like Versailles Palace. We requested a table change as soon as we were shown to our table. We were moved us as per our request but it could have been handled with more refinement. There is an "A La Carte" menu but we did not order from it this time. We certainly will return to The French Room next time we are in Dallas. The price paid well matches the experience and food quality. Wonderful, beautiful room! Service a bit spotty, but very friendly! We feel very special when we saw a welcome back note and our names in the menu, we thought that was very nice! Thank you for that. We have an exquisite experience, excellent service and we love the new update that they just made, very sophisticated. Totally recommend!!! I haven't been back to The French Room for over two years. My expectations were low when I heard it had closed and been completely revamped. But, it had been my favorite restaurant for over 10 years before so I thought I should go see the changes. When I walked in, my favorite Table Captain from the past, Connie, was standing there and I was beyond delighted to see her! She is stellar. The food was as delectable as always and the restaurant looked beautiful. Incredible food in a luxurious setting and I get to be spoiled by a staff with 0 pretentiousness. The French Room is my favorite again! Excellent in every respect. The service was warm, welcoming, prompt, and professional. The atmosphere was elegant and enjoyable. The staff went out of their way to make it a memorable anniversary evening for me and my beautiful wife. Service was very formal and proper. On that note it was too slow. Our table made it very difficult to have a conversation. And we were so close to the table next to us they were just apart of the conversation. The food presentation was pretty but portions are small and food is cold. Taste of the food is only descent not a mind blowing. I had much better French cuisine. Price and quality and taste ratio for me personally is not worth it. Opulent decor. Service good. 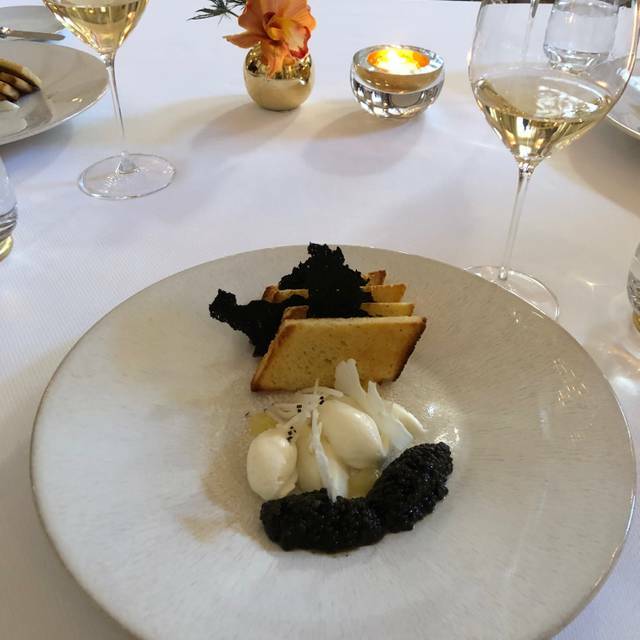 As a frequent customer of high end restaurants, the Degustation and wine pairing at the “French Room” is good but at $270 per person, not quit to value, even for those that do not mind to splurge on food and drink. There are many other fine restaurants whose offerings are exquisite and one can leave there feeling fulfilled and not question it’s value. They went above and beyond to make our evening special. We were married the previous week and they created a very personalized menu for us, which made a wonderful evening, even better!!! The most amazing dining experience in Dallas. We’ll be back. A party of 6 for birthdays celebration. We all had a wonderful time being together but will not be going back to the French Room for any reason. We had the restaurant to ourselves, but perhaps 1 other couple there. (Lack of guests now doesn’t surprise me. )We are seasoned travelers and accustomed to elegantly presented and delicious food. The French Room did not deliver anything memorable. The charm is GONE.... it is not a special restaurant any longer. 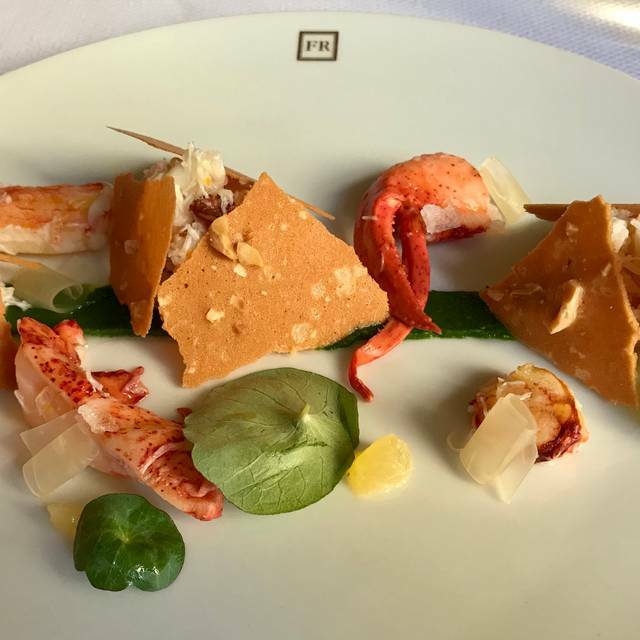 The chef has changed the menu, removing some of the staples that ANY fine dining restaurant in Dallas has ....they don’t even have Veuve Clicquot Champagne, and if you’d like a Grand Marnier soufflé for dessert… Forget it! You can have the only soufflé offered which is chocolate..(which was dry), and it was served with a scoop of vanilla ice cream. Needless to say we were underwhelmed. Incredible from start to finish. We expected professional service from staff in appropriate dress. Their uniforms were ill-fitting and they were kind and helpful but not professional, many had not apparently been trained. The food was small and expensive. The $32 chicken was a deef-fried chicken hot-dog. The $42 duck breast was about 3 ounces and only room temp. After dinner and dessert we went home and ate again, we were both hungry. The sommelier was nice and we had a nice bottle of French wine for $110 which I think was about $35 overpriced. The total bill was $330 and with tip nearly $400. I want to say that for this money you can dine at ANY, or at least MANY MANY, fine Dallas establishments (I won't name them but you can ask me who they are...) and the experience will be vibrant, delicious, and you won't go home hungry. The French Room must rething who they are and either reduce the prices by 50% or deliver what they charge for. It is not a fine dining experience. Our return to The French Room since the epic remodel. Still an exceptional dining experience. Superb, attentive, knowledgeable service. Solid wine list. Great food quality and preparation. And, of course, stunning deserts: The Grand Mariner souffle is best in Texas. The make-over was generally met with rave reviews by our group. Elegant, romantic, European were used to define the decor. 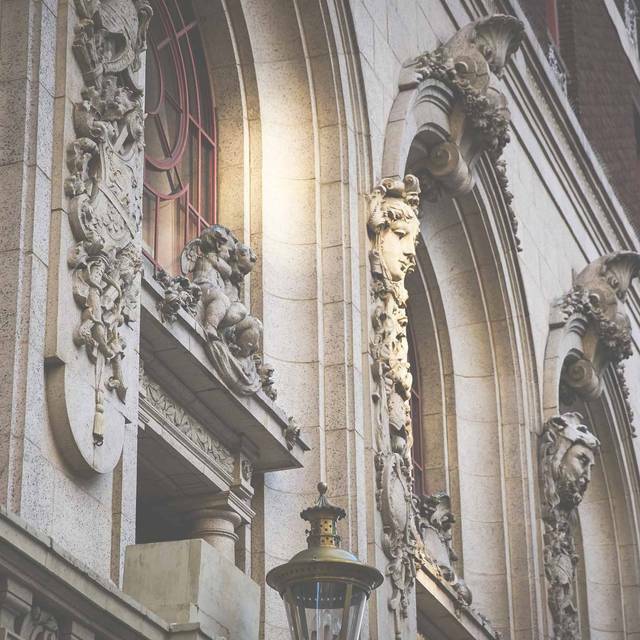 A perfect fit for the Adolphus. However the ceiling murals are gone. The transition is elegant and tastefully done but the murals are still gone. That was a bit disappointing. But, all in all, five star experience. The French Room remain our #1 in Dallas. Excellent!!! Food is outstanding and service is perfect!!! You can’t go wrong at The French Room!! This was the first time visiting the French Room since it was renovated. The new décor is simpler than the elegance of the previous Renaissance style, but attractive. The original chairs have been re-upholstered and look good, but unfortunately the pedestals under each table is super modern, plastic looking, and does not match the rest of the room décor at all. Perhaps the interior designer thought the pedestal would be hidden by the tablecloth, but it isn't. The menu is far more limited than in the past, with fewer choices of appetizer and main course. There is still the usual fixed price menu, but as none of our old favorites were still on that menu, we dined a la carte instead. The smoked salmon appetizer was gone, and the only other choice that appealed to me was a lettuce salad, somewhat overpriced at $12.00 although the dressing was pleasing. 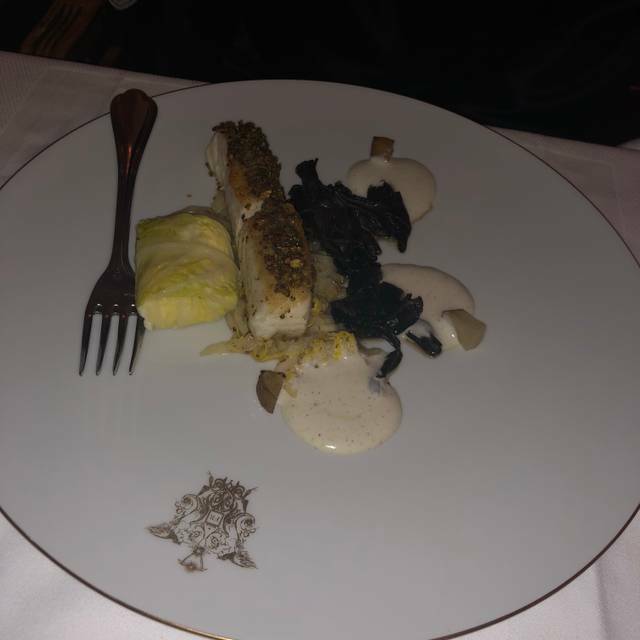 My husband chose the foix gras which was elegantly presented, but fell short of its intended impact with two triangles of sweetened bread (instead of melba toast presumably) on a small, separate board. We know it was supposed to look impressive but it really wasn't. However, the flavor of the pate was very good. There are only four main courses offered now, so I chose the filet which was cooked exactly to my preference and melt in the mouth. The demi glace sauce was delicious. My husband ordered the chicken, which he said was very flavorful. Both dishes were presented elegantly. In the past, the French Room always brought a basket of wonderful artisan breads to the table, but now it's just two slices of multi grain placed on each guest's plate. The service is no longer the standard that it was. Not even close. The original staff struck the perfect chord between friendly and professional. All the original staff are gone, but as the French Room was closed for a long time, I'm sure that was inevitable. However, the new staff, who are much younger, are far less "polished". Hadn’t been to the French Room in many years, since before the remodel. The experience was outstanding, exactly what one would expect from one of the highest-end restaurants in Dallas. We ordered a la carte, and even though the selection was limited to a handful of choices, everything was delicious and fresh. The sommeliere recommended a magnificent wine that well complemented our meal, but which was not overwhelmingly expensive. Service was friendly and attentive, but not overly so, and pacing of the meal was just right. The service at the French Room was the best I've had in the city. Quaid was the most knowledgeable waiter and had so much interesting stuff to say about the teas. He made the experience superb! 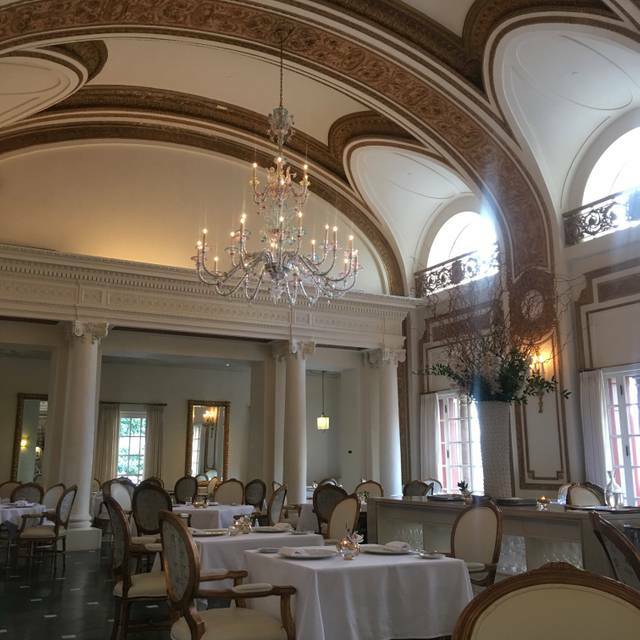 There is no place in Dallas that looks like the French Room, you're transported from the second you walk inside, it's stunning. Celebrated my wife’s birthday and it may be the best meal we have ever had. This was a beautiful and delicious valentine’s day dinner-truly creative and unique dishes, perfectly presented, timed and fabulous! Connie, our server was wonderful as well as all of the staff. Simply put... An amazing meal. Will be back again. This place is spectacular! Mason is very knowledgeable and attentive. We will be back again! Amazing atmosphere obvi and amazing service. But the food was meh and a bit basic. You're definitely paying for the service and the atmosphere. Everything was cooked beautifully. Looked great. Ingredients were great but nothing had the 'wow.' They make you feel really special though. I've been there 2 times before and there were memorable things each time with extra goodies and treats left for us. Usually tasting menus leave us wanting to die from gluttony but I wasn't that full. I think the food felt safe and simple for the regular Joe who wants to feel special for the night. There were some empty tables in the huge beautiful room, so to me it meant they couldn't really be too experimental and keep the regular Joe away. The place definitely has a special vibe about itself and good memories for us (we had our first dating anniversary there and now this time first married anniversary). But we don't think it's worth the money unless you want to get dressed up and feel boujee. Relaxed meal with great service and good conversation with friends. Wine pairing with fixed price menu was great. Go for the experience, food was tasty but not hearty. Especially enjoyed the risotto with truffles. Wish I'd gone early enough to have drink at bar before dinner. Absolutely fabulous. Everything was amazing. Really miss the Lump crab cakes the French room USED to have and the 3 course option. However the chef was outstanding and the food was delicious. By far the best place I have ever been to, not sure how relevant that is because I'm middle class but it was so good. I however do not suggest the Brioche & Fig Jam. I made the mistake of ordering it thinking it was going to be the poor people's brioche and when faced with the real deal I was very surprised. Other than that it was fantastic. A thing I was worried about was the attire and for those wanting to know too it's cocktail attire and no jeans. Ribeye was about what you might expect from Outback but $62. Service was attentive. Appetizers were tasty. They asked if we were celebrating a special occasion, it was my wife’s birthday and I was surprised they did not offer a complimentary birthday desert. Overall was nice but not five star. Our waitress made our evening so special! The menu that said Happy Birthday to my daughter Lauren was so very special! We dine out every week - multiple nights - just not impressed with the taste of the food whatsoever. Waiting area - We arrived a little early so they asked us to wait in the bar area which was a very romantic arrangement with a candle and an exotic collection of wine on the menu. I would recommend getting a suggestion from the bartender before you order. Cozy place for a drink before dinner. Food - We tried 5-course menu along with the wine selection. The food was perfect with the perfect wine along with each course. Just be careful with the bread, its bit hard on the outside. Ambiance - Justifies the restaurant name. Service - the most amazing service I had at a restaurant. Perfect for a date night or anniversary dinner. Great place for fine quiet dining on special occasions. 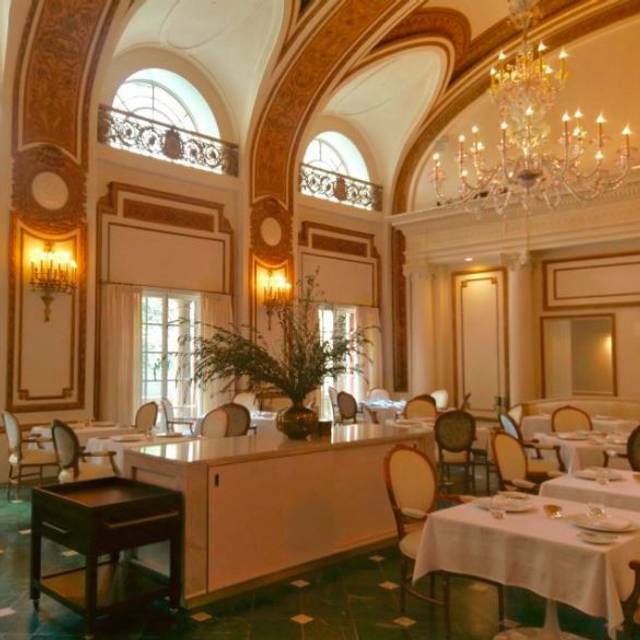 Of 4 and 5 star restaurants in Dallas, the French Room is always at the top of the list. The service was fantastic, as expected. The sommelier selected a perfect wine for my wife. My sweetbread appetizer was delicious. The chocolate souffle was equally yummy. The only mistake I made was ordering a ribeye in a high-French cuisine restaurant. They cooked it sous-vide (medium rare) and finished it in the oven, which on the surface sounds great, but in execution really didn't work out to my liking. For all I know, it was textbook perfect according to French tradition. It just wasn't how I like my steaks prepared. You're given an option of going with a one-two appetizer/main course option (which we chose), or a 5 course tasting menu. That night, the the tasting menu was heavy on the seafood, which my wife doesn't like. Given the opportunity, I would have gone with the tasting menu, and probably given a 5th star on Food. 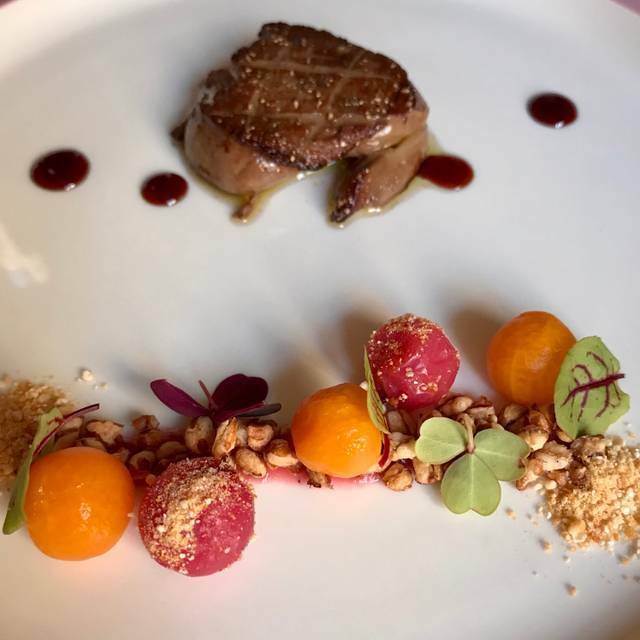 Net/Net: French Room remains a top-notch place and deserves high marks. The French Room has been a favorite in Dallas for years this latest iteration meets past standards for excellence. Excellent! Perfect experience for our 20th Anniversary. The renovation is impeccable. Service was perfection without any pretense. Food was on par with fine dining in NY and Paris. This is not your grandmother’s French Room. Well done.